With so much choice finding the right VPN for Android is a time-consuming and confusing task. Today I’m going to round-up the Best VPN for Android and 4 other possible app options that you might be interested in. If you type the term “VPN” into the Google Play store there is page after page of VPN apps, some claim to be free but are often slow, filled with ads and bloat your phone with unnecessary junk while the better paid for VPN services are available from hundreds of different companies leaving you wondering where to turn. Ease of use, speed and price are my major considerations when taking a VPN service for Android. So let’s find out which service will give you the best mobile privacy experience and the most bang for your buck. IPVanish is without a doubt the best VPN for Android and works with Ice Cream Sandwich, Jelly Bean, Kitkat, Lollipop and Marshmallow. 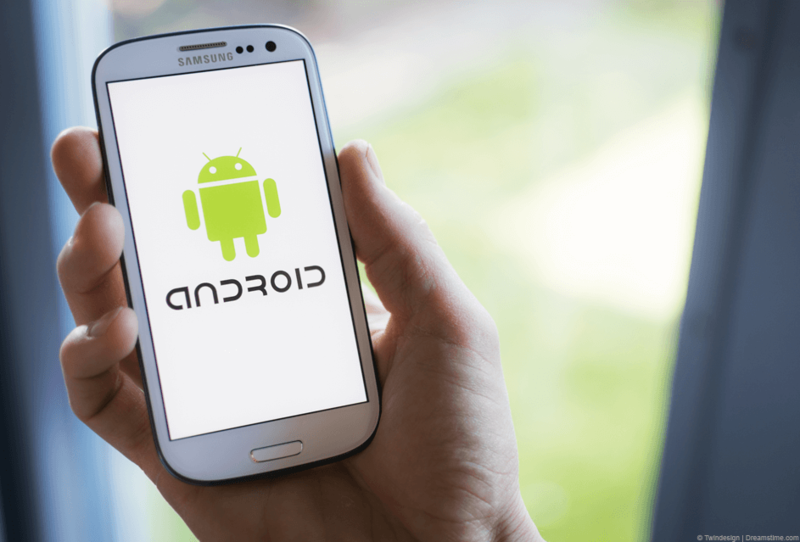 If you’re after a fuss-free Android app then it certainly fits the bill. The main display of the IPVanish Android app is simply a server list that can be sorted by country, server response time or by server capacity. This allows you to find both the fastest and least utilized server. By simply pressing on a server name connection is made and your Android device is secure from prying eyes. With access to over 450 servers in over 60 countries, the Android app allows you to protect your mobile connection anywhere in the world or access geo-blocked services from your phone or tablet. The simplicity of the Android app allows you to use it regardless of if you’re a beginner or an expert, just choose a server of your choice and click to connect, there is nothing more to it. Once you’re connected you can simply return to your usual phone or tablet usage and leave it running in the background. The IPVanish Android app supports 256-bit encryption via OpenVPN and their service stores no-logs allowing you to browse the mobile web securely and privately. Best of all, you can also use the same service on one other device, so fire up your desktop or laptop or even another mobile device and protect yourself across 2 devices concurrently. Try the Best VPN for Android risk-free with their 7-day money back guarantee. ExpressVPN offers a good Android VPN app available from the Google Play Store. One feature I especially liked was you’re able to get a free 24-hour trial directly via the app to see what the service is like and if you do eventually sign-up they have a 30-day money back guarantee in case you’re unhappy with the service. The ExpressVPN Android app has been well thought out and you’re able to pay directly using your GooglePlay account, although if you’re looking for other options then credit card and Paypal are also accepted. Just as with IPVanish you’re able to select a server of your choice from a list of over 78 different countries. Differing sorting abilities are available to find servers in certain locations and also those recommended for your usage. ExpressVPN lives up to its name and is not only easy to use but quick to get connected within just a few taps of your phone, tablet or other Android device. They’re a little more expensive than IPVanish which is a bit of a negative but the service is good and their Android app reliable and robust. VyprVPN has one of the most attractive Android VPN apps available. Visually it resembles their desktop software so if you’ve used the Windows or Mac versions of their clients then you’ll be familiar with the look. Like the other providers in this guide, VyprVPN offers a simple interface to let you get connected with the least amount of hassle. Their app differs somewhat from the other providers with the main screen allowing you to connect and displaying information such as your current IP address. Server selection is tucked away on a separate screen and allows you to add favorites for easy access. A nice addition is the ability to run speed tests to find out which server is the fastest. Another feature I was impressed with was the ability to switch between OpenVPN 256-bit encryption and the custom Chameleon VPN mode from VyprVPN. Chameleon allows users in countries with restrictive internet like China and Iran to bypass government firewalls which is a definite plus of the app. Unfortunately, VyprVPN is one of the most expensive VPN services at the time of writing and it will cost you upwards of $10 /mo if taking a per month account. Unless you have a specific need for the Chameleon mode then I recommend sticking with IPVanish but if you’re happy to pay a little more then VyprVPN does a good job. StrongVPN doesn’t quite have as many servers locations available as other providers only currently offering 21 countries but they are one of the cheapest providers and when taking a yearly package their price works out at just $4.99 /mo. If you can deal with the lesser selection of servers then you’ll be rewarded with a really easy to use Android app. The main screen features a connection button that simply indicates your connection status. Server selection is dealt with on a separate screen similar to the VyprVPN app. StrongVPN was easy to get connected but I actually preferred the one screen style provided by IPVanish as I found it quicker and simpler to make connection especially on the move in a coffee shop or when using other public wi-fi. I also wasn’t overly impressed that StrongVPN looks completely different on every different system. The Android app looks nothing like either the Windows or Mac software so if you’re new to VPNs then the visual difference can be a little confusing. StrongVPN is the cheapest of all the providers and they offer a good service so if they have a feature you like that the others don’t then sign up by clicking the link below. The HideMyAss Android app visually is one of my favorites. The layout is friendly and really easy to use. If this is your first VPN Android app then you’ll have no trouble getting it to work. Connection is made effortless by clicking the slider on the main screen and another screen allows you to select a server from their range of over 190 different countries. I wasn’t a massive fan of the Windows HideMyAss software due to the dated look of it but the Android VPN app certainly doesn’t suffer from the same issue. HideMyAss are one of the oldest VPN providers around so you have a good backing behind you. I wasn’t that happy that they cost nearly $12 per month though which seemed a bit expensive. They’re also located in the UK which means they’re bound by UK laws and with the UK becoming one of the most privacy invasive in the world you may want to consider one of the other providers. If you want a simple app that is fun and friendly to use and you’re not put off by the few negatives then HideMyAss will definitely fit the bill. There is actually very little difference between Android apps. There isn’t a huge amount of settings and most of them take only one or two clicks to get connected. What is more important is to consider the service behind the app because ultimately it is speed, server availability and price that will determine how the Android app stands up. I found the best VPN for Android to be IPVanish because it seemed to be the easiest to get connected with the least hassle and clicks. The service behind IPVanish is also one of the best with the highest speeds. When using public Wi-Fi or mobile internet then speed is critical and I felt IPVanish outperformed the competition. At just $6.49 /mo when taking an annual package it’s certainly worth the money but if you feel one of the other providers offers a feature that IPVanish doesn’t then feel free to browse the others provider’s websites to find the Android VPN solution of your choice. To recap the Best VPN for Android check the table below.